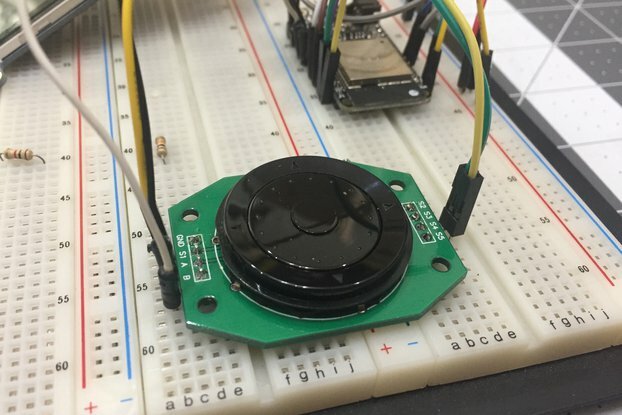 This is a PCB to support inclusion of simple rotary switches into a project. You can use single-pole (1P12), double pole (2P6T) or 4-pole (4P3T) switches. 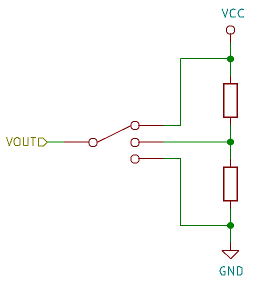 It simplifies wiring by converting the switch selection to a unique voltage. 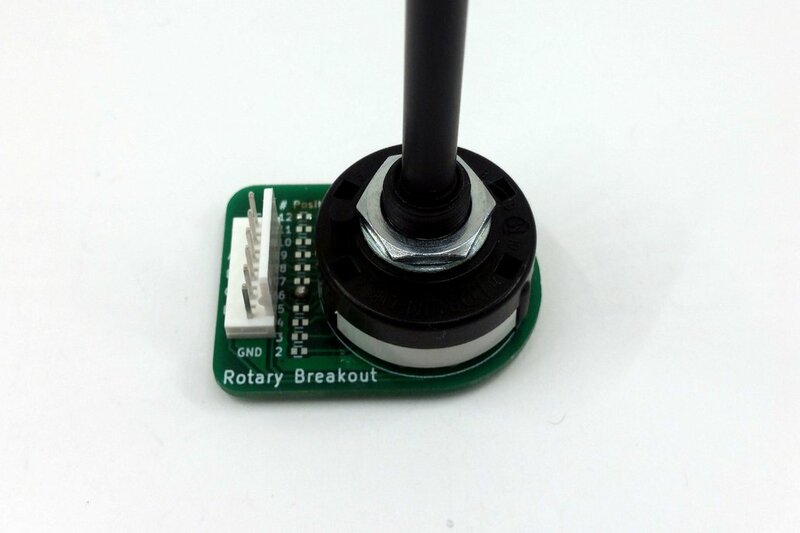 Note: does not ship with a rotary switch, to save on shipping costs. 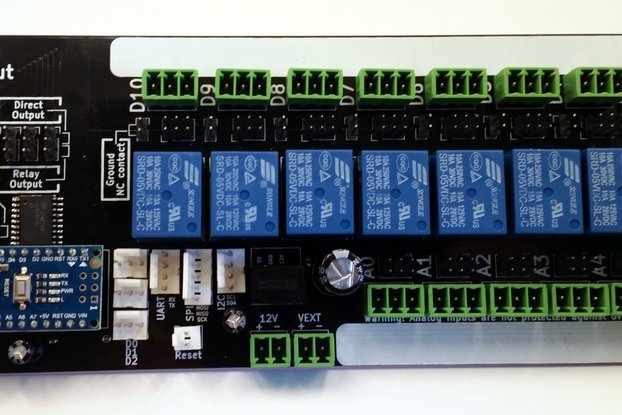 This board has an on-board potential divider - just apply power and measure the voltage at points A (1-pole), A or B (2-pole), or A-D (4-pole). 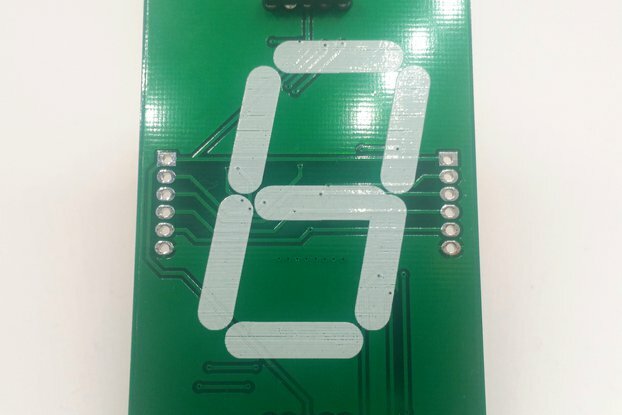 The board also has solder jumpers to allow selecting the correct number of positions. 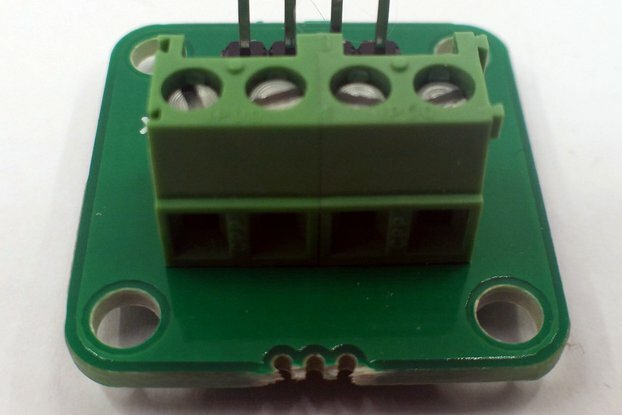 These rotary switches can be limited to the number of selectable positions with a small metal tab. 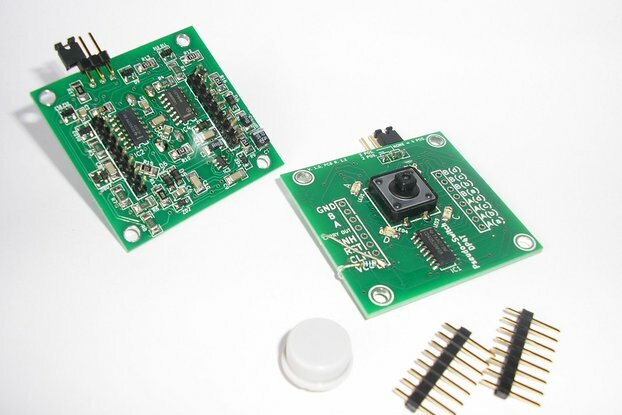 By setting the jumper solder jumper to the same number, the full range of Vcc to GND is applied, ensuring the maximum separation of voltage levels. What switch do I need? 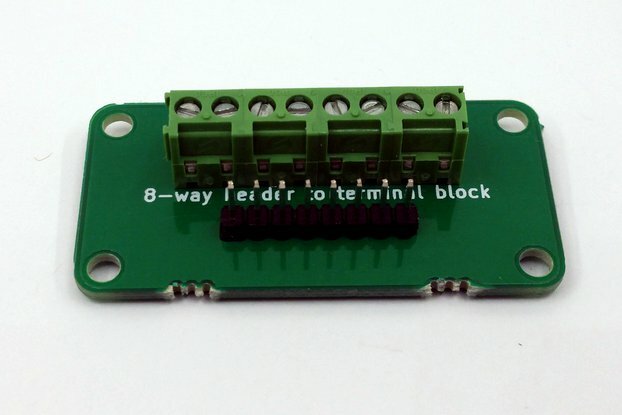 The cheapest option is just to buy the bare board and solder on your own switch and connectors/wires. 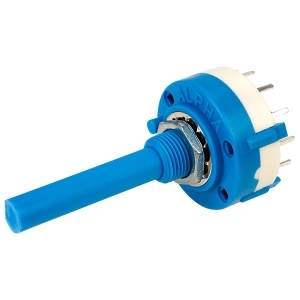 You have the option of choosing to add header pins or a vertical or right-angle Molex connector. 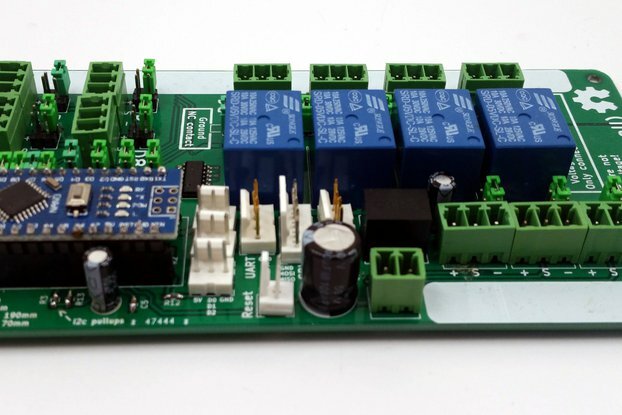 You have the option of adding a switch - the PCB supports 1P12T, 2P6T or 4P3T switches. It does not support 3P4T switches - these have a physically different pin layout. If you buy one, you'll need to solder one of the jumpers on the PCB to select the number of poles you are using on your switch. This gives you the full GND to VCC range no matter how many poles you have. For example, if you are using a 1P12T switch but restrict it to only 8 poles, solder the #8 jumper.